Do you ever find yourself in a place that doesn’t feel right to you? You walk in and you ask yourself ‘what the hell am I doing here?’ Well, that was me as I looked down the Riversdale Suite at Murrayfield Ice Rink at the end of November. Looking around, I was seeing Chris Kelland, Derek ‘Pecker’ Reilly, Scott Neil, Moray Hanson, Paul Pentland and the one they were all here for – Tony Hand. Edinburgh Capitals were retiring his number nine jersey, the ultimate honour you can bestow on any sportsman and as one of the city’s finest sportsmen, it was well deserved. In five years I’ve had the privilege of going to places and attending events I would probably have never done, but to be on the ice with a man like Tony Hand as his jersey was retired is up there. Through my freelance work I’ve met some great people in ice hockey and, because of that work, some of these guys are familiar with me. In a way that’s something of a compliment, so to be mixing in their company and hearing the stories and experiences these guys have in the sport leaves me quite starstruck. For Tony it was about seeing old friends, catching up with people he hasn’t seen for a long, long time and enjoying a truly great day in his career. Every time I looked in his direction he was talking to old friends, shaking hands, signing shirts. He worked the room in a way only men of his stature could. His mum, Lorraine, and children, son Paul and daughter Sarah among others were there to share the memory and as we made our way on to the ice before the game to formally retire the shirt, the crowd sang his name. Edinburgh Capitals were playing Dundee Stars, very fitting as Hand’s first team was the long gone Murrayfield Racers and the first he coached was the Tayside outfit. I asked Lorraine if I could ask her a question to the fans about how she was feeling. She was so nervous – all she could say was that she was “a very proud mum”. There may have been nerves in speaking publicly, but the pride she felt at that moment was etched all over her face. The game itself was perhaps a tribute to the sort of battles Tony played in during the 80s as Dundee took the points in a breathless 11-9 game. 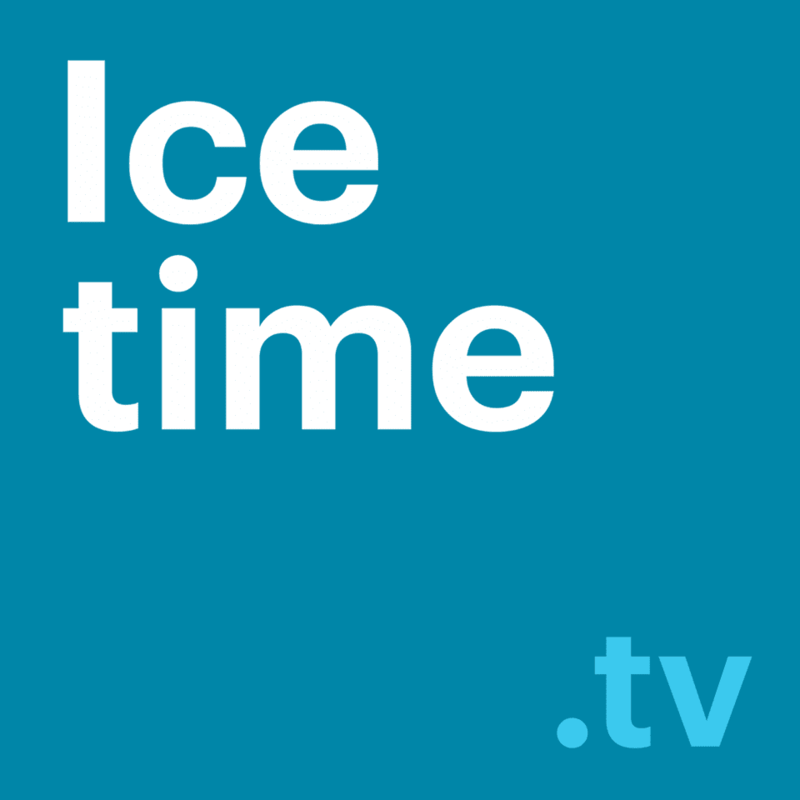 It was also the highest scoring Elite League game of all time and was an exciting and tense affair that, for many, will live long in the memory. Personally speaking, just being part of this day was something special. I would have been happy to have been one of the fans in the stand for the game. But asked to host the event, both in the suite and on the ice was a true honour. Only one other player in Edinburgh’s history has had the same accolade. Chris Kelland was also a Murrayfield Racer between 1980 and 1991 and very much a team-mate of Hand’s. His number 21 jersey was retired in 2007, so he was ideally placed to speak of what this would mean to Tony. He said: “He’ll feel honoured to have his accolade and he’s a guy that’s accomplished everything there is to be done in the game. It’s very well deserved. “Tony was a great team-mate and a great guy and good things come to those that are good people in life. He was an excellent hockey player, who played for over 30 years and his stats speak for themselves. As for the man himself, he may have only retired as a player last season with almost 5,000 points to his name, but he returns to Manchester Phoenix with the love of grateful city. “It’s one of those occasions that’s very humbling where the town you’re from and a team you played for the first part of your career bestow this honour on you,” he said. “I’ve had a great day and I’m very grateful to the club for everything they’ve done, as well as the fans, who turned out for this occasion. 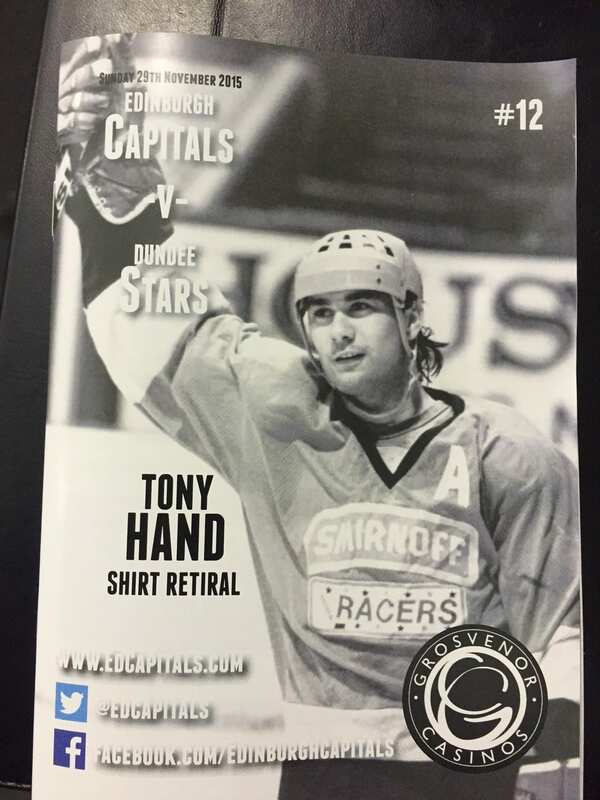 As an impostor in a roomful of Scottish ice hockey legends, we enjoyed it with you Sir Tony. 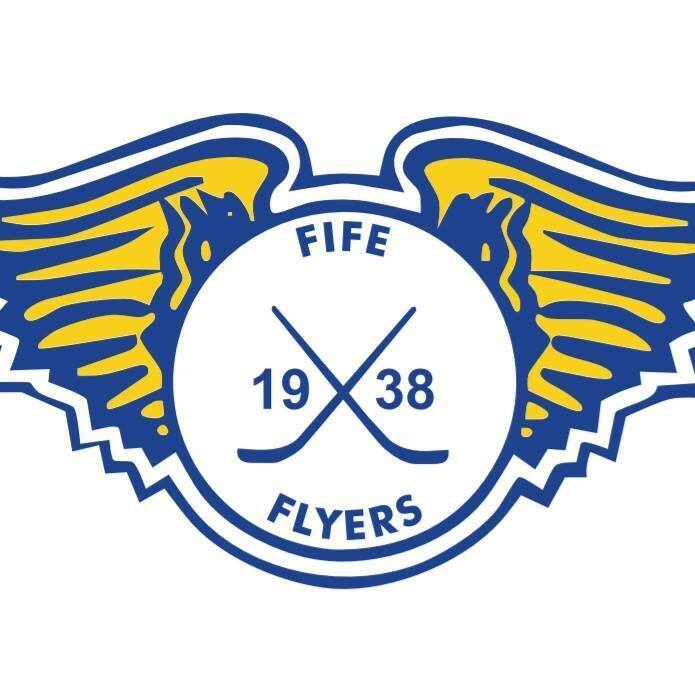 Highlights from the Elite League game between Fife Flyers and Dundee Stars on Friday, 9th March. 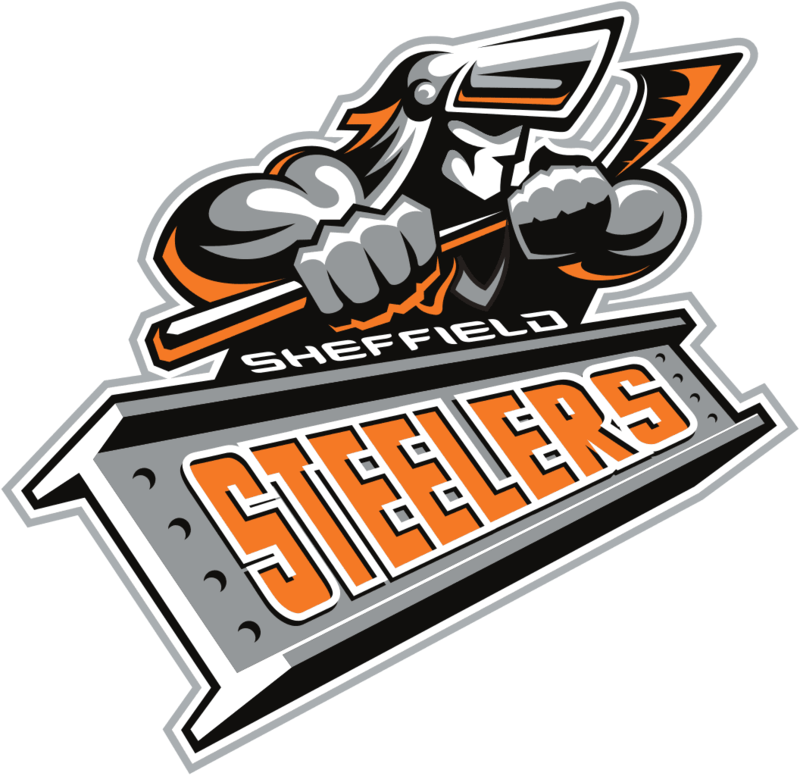 Highlights from the Elite Challenge Cup game between Sheffield Steelers and Nottingham Panthers on Tuesday, 23rd February.